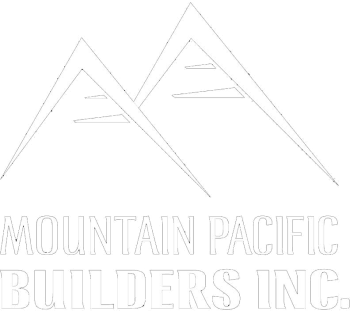 At Mountain Pacific Builders, we build more than homes, we build relationships. From concept to completion we work with you each step of the way to ensure your vision comes to the realization of your desired end result. When you choose Mountain Pacific Builders, you’re choosing our unwavering commitment to quality and customer service. Our ultimate goal is for your project to be built to the highest standards. To make sure your project meets your expectations, we offer detailed pre-project personal meetings and a detailed project checklist as a guide. Each Mountain Pacific Builders project offers a combination of quality materials and superior design, where every detail is meticulously crafted and every enhancement you select is seamlessly added to create a customized project that is uniquely yours. Studying and understanding the plans of our clients or arranging the drawing of plans to meet the regulations of building. Arranging submission of plans to local authorities for arranging and approving inspections of building work. Submitting the tenders, prices or quotes to our clients for the project. Estimating the quantities of material required for building projects and ordering these from building suppliers. Arranging and managing subcontractors to carry out every step of building and negotiation rates of pay. Supervising subcontractor's work to ensure buildings are of an acceptable standard and are completing according to schedule. Organizing the delivery times of materials to match with various stages of the building process. Undertaking some of the building work personally.